Sixty-nine (69) units consisting of twenty-one (21) studios, forty-six (46) one-bedroom, and two (2) two-bedroom units. 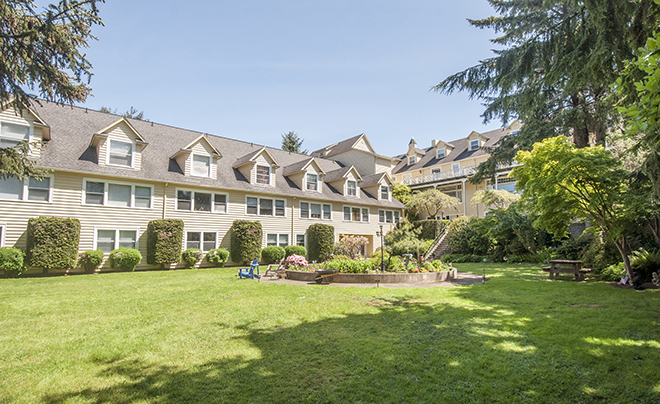 Built-in 1935 and expanded in 1984, the Dorchester House offers investors a rare opportunity to acquire a historical and exceptionally well-maintained investment asset on the Oregon Coast. Designed to be reminiscent of an English-style country inn, the property initially opened as a hotel. Listed on the National Register of Historic Places, it features a full commercial kitchen and abundant common area amenities including a library, dining room, patios, and private garden.